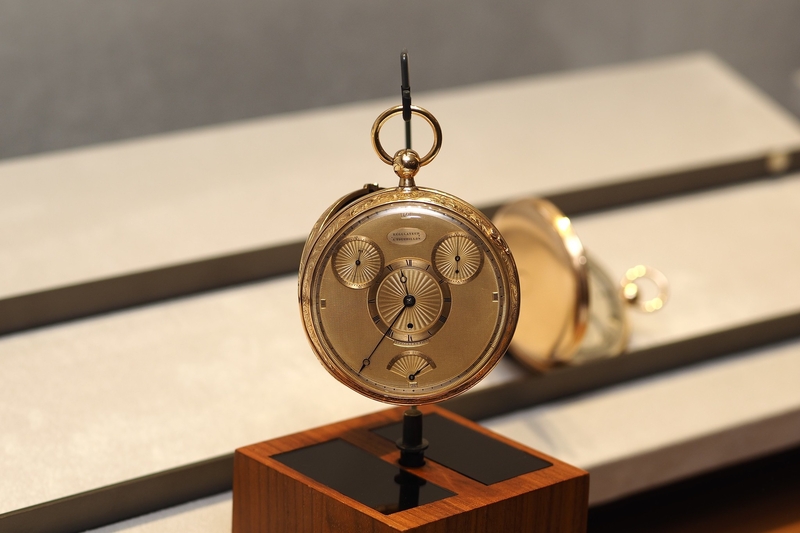 At Baselworld 2010, in March, I had a chance to view Breguet’s new collection. I really liked the new Marine Royale watches (shown). Available in either 18-carat white gold or rose gold. It is available in four versions, white gold with white gold dial, white gold with dark dial, rose gold with rose gold dial and rose gold with dark dial. The solid 18-carat gold case is 45 mm wide x 17.45mm thick. Inside, is the in-house designed, produced and assembled 519R calibre self-winding movement with alarm mechanism. There is a security ratchet of the turning bezel visible at 3 o’clock. The bezel is unidirectional with a luminous mark. The alarm on/off push-piece is at 8 o’clock. The alarm setting push-piece is at 4 o’clock. Black rhodium gold or white/rose gold dial, hand-engraved on a rose engine. Triangular hand at the center for setting the alarm time. The alarm power-reserve indication is displayed in an aperture between 9 and 11 o’clock. Alarm on/off indicator is shown in a round aperture at 12 o’clock. The date is at 6 o’clock. 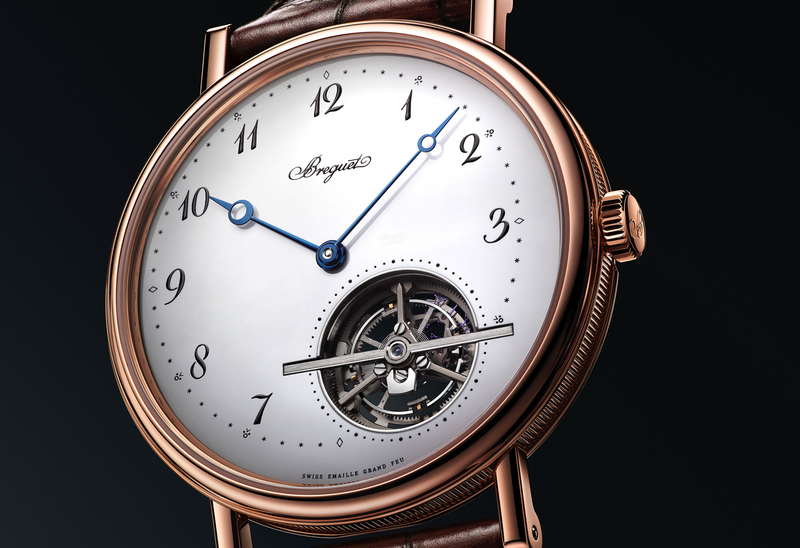 Breguet hands are coated with a luminous compound. Water-resistant to 300m. Sapphire-crystal caseback.